Are you ready to reach over 150 million potential new customers, extend your geographic range, build brand awareness, and increase overall revenue? 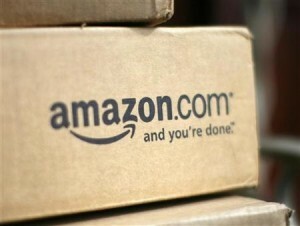 Third party merchants on Amazon Marketplace are doing just that, recording 60% growth in the first quarter of 2012. In fact, almost 40% of all merchandise sold by Amazon is from these merchants. There is tremendous opportunity for your business to enter this channel and take advantage of Amazon’s brand to drive new revenue. Join us for a 30 minute webinar that will uncover the astounding results you can achieve as well as how you can effectively manage this new channel with the help of Multichannel Order Manager. It’s a must attend for anyone considering Amazon Marketplace or trying to find a more efficient way to manage their account. learn how your can easily manage your inventory across all marketplace channel. Find efficient ways to manage and sync your inventory with Amazon and other channels. Have you considered upgrading to a SQL server and Multichannel Order Manager Premium Edition in the past, but put it off for some reason? Now is the time to reconsider that decision and join us for a webinar tomorrow, January 26. Click here to register now! If you’re looking to streamline and automate business-critical processes while gaining stronger business intelligence, scalability, and performance to drive revenue growth in 2012, this webinar is a must-attend event. We’ll show you how Multichannel Order Manager (M.O.M.) Premium Edition works with Microsoft SQL Server to provide the most advanced solution for your business. You’ll be able to effectively handle order import, inventory management, order fulfillment, and order processing automation while handling all transactions at greater efficiency. Join us to see for yourself how you can improve your businesses productivity with a dynamic, completely scalable solution with multi-user access, 100% uptime, faster processing and greater visibility into business operations. Miss the M.O.M. v8 Webinar? Did you miss the M.O.M. v8 webinars? Find out how Dydacomp is giving you the keys to drive your business with M.O.M. Version 8 by viewing the on-demand Webinar. To view the on demand webinar, click here. There are no boundaries on what platforms you want to implement as you use our solution to enhance productivity, streamline processes and boost sales. You’ll also learn more about our 50% discount* to upgrade now! M.O.M. 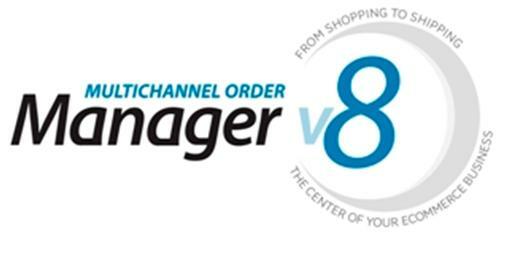 V8’s new open API gives you the power to compete and thrive in the ecommerce marketplace, while our comprehensive fraud protection features ensure order authenticity. We’re also opening up the business channels available to you by including a built-in connection to Amazon Marketplace so you can tap the company’s 130 million customers. And we’re providing you with the tools to customize your invoices, take advantage of paperless invoicing, enhance General Ledger exports, and much more.